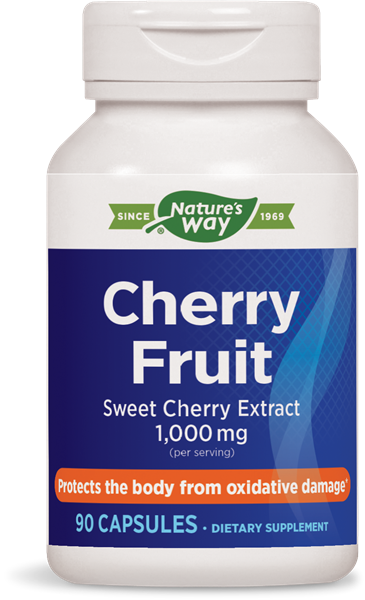 Cherry Fruit Extract / 90 caps - Nature's Way®. Why do you use sweet cherries in Cherry Fruit rather than sour (or tart)? Research on cherry has used both tart and sweet species of cherry. Both have shown benefits for health. What is the equivalent of fresh cherries to Cherry Fruit? This product uses a concentrated 10 to 1 cherry fruit extract, which means that it requires 10 lbs of fresh cherries to make 1 lb of cherry fruit extract.